Bad habits: we all have them! But what happens when these bad habits extend to our relationships? Whether it's interrupting your partner mid-sentence, acting bored when they are speaking, or teasing them in hurtful ways—over time these bad habits can lead to resentment, and can mean the difference between a wonderful, close relationship, and one characterized by conflict or unhappiness. Fortunately, for all of us, good relationship habits can be learned (or re-learned), and bad habits can be un-learned. 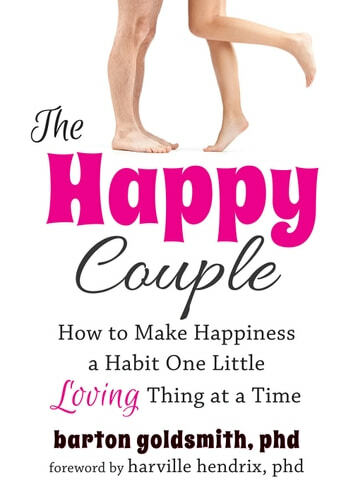 Named one of “America’s Top Therapists” by Cosmopolitan magazine, prominent Los Angeles-based psychologist and radio talk show host Barton Goldsmith, PhD, offers readers simple, accessible tips and tools for developing and strengthening positive relationship habits such as gratitude, humor, togetherness, and honesty. Habits can be hard to break, but if you love someone, you’ve got to make sacrifices. When you consider that 50 percent of marriages end in divorce, it becomes clear that many of us may need help in making a relationship thrive. The Happy Couple shows how simple acts of kindness and generosity can increase the likelihood of a relationship being happy, healthy, and long-lasting.